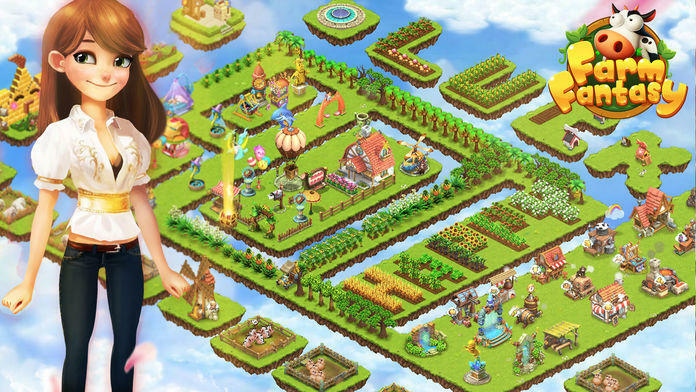 In 2016, the most creative farming game, Farm Fantasy is finally launching in App Store! A floating island brings you the freshest and overwhelming farm game experience! *Run your own farm business! 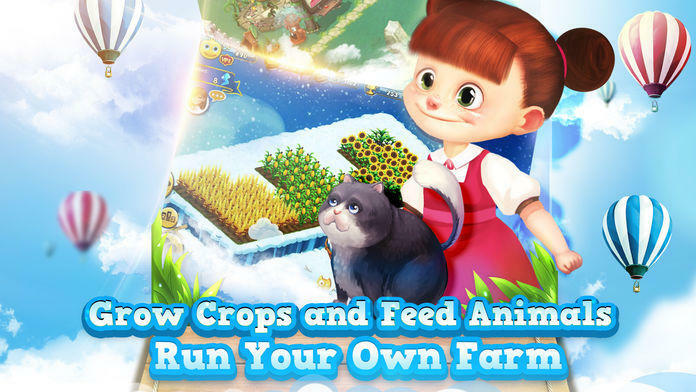 Like other traditional farm games, you can always grow your favorite plants and feed your cute animals! Many choices of plants and animals are waiting for you to explore and unlock in Farm Fantasy! **Use your creativity and DIY your own island! 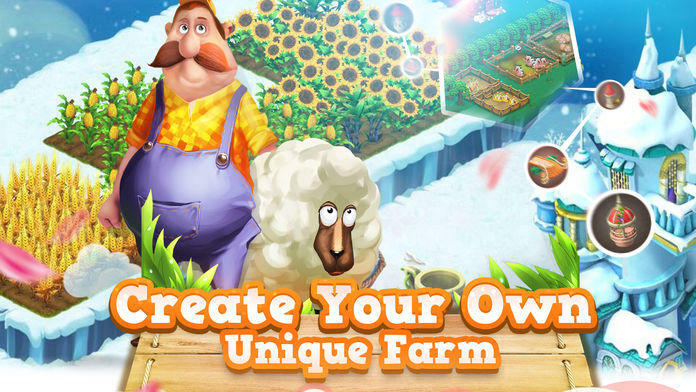 Unlike other farm game, in Farm Fantasy, you can create your unique farm. 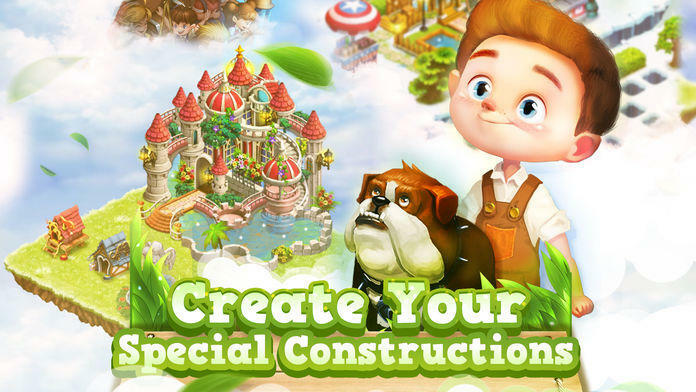 The exclusive buildings and decorations await you to make your own special island! Tons of special buildings and skins with all your needs are available for you to create a better place. You can also sell and share your design with other players for great fun! Want to be a great designer? 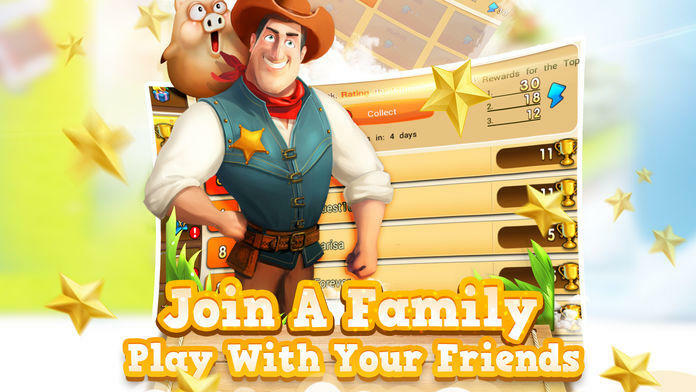 Play with your Facebook friends as well as in-game friends! Help each other with the special tasks! Get rewards for both of you! Join a family and make your family much better! Come and join us! Make your on Fantasy on your dream islands! Please note that Farm Fantasy is free to download and install. However, the items in game may be purchased by real currency.